Associate Professor Stacey Steele is an academic and practising lawyer specialising in comparative insolvency law in the Asia-Pacific, Japanese law and society, legal education and financial services law. She is fluent in Japanese. Stacey joined the Centre in 1997 as a research associate and was appointed Associate Director (Japan) in January 2002. Born in Brisbane, Stacey holds degrees from the University of Queensland (BA (Jap)), Monash University (MA (Jap)) and the University of Melbourne (LLB (Hons) and LLM (by thesis)). Stacey commenced articles in March 2000 at a leading Australian commercial law firm and worked as a senior associate in its financial services group, focusing on project/infrastructure and corporate finance. In October 2007, Stacey joined S&P Global Ratings’ Melbourne office as Associate General Counsel where she continues to have responsibilities for the Asia-Pacific. 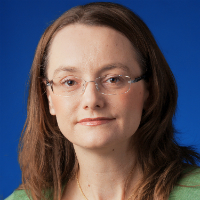 Stacey has taught Insolvency Law and Corporate Banking and Finance Law, as well as Issues in Japanese Law and in graduate subjects offered by the Centre, and pioneered a short-course study program for Japanese students at Melbourne Law School (2004-2017). Stacey has published widely in academic journals and books as well as providing commentary to professional newsletters and practitioner publications such as the Insolvency Law chapter in CCH’s Japanese Busines Law Guide. She co-edited Match-Fixing in Sport: Comparative Studies from Australia, Japan, Korea and Beyond (Routledge, 2018) with Hayden Opie, Internationalising Japan: Discourse and Practice (Routledge, 2014) with Jeremy Breaden and Carolyn Stevens, and Legal Education in Asia: Globalization, Change and Contexts (Routledge, 2010) with Kathryn Taylor. Stacey practices Chanoyu (The Way of Tea) and is a member of the Urasenke Melbourne Chapter.